Generally I am opposed to the idea of remaking older movies. It seems the majority of remakes end up being an inferior product in comparison to the original work. As reboot after crappy reboot gets released, the film industry’s well of original ideas dries up and invariably, past successful films continue to become fodder for modern cinematic flops. Although THE GRAND SEDUCTION is based on a critically successful French film from 2003 (SEDUCING DR. LEWIS), it avoids the pitfalls of bad remakes and succeeds in its own right with an abundance of undeniable charm and filmmaking excellence. A once-proud fishing harbor, the tiny population (120 people) of Tickle Head, Newfoundland, has come to face dire circumstances. The fishing industry is not booming as it once was and cashing monthly welfare checks has become the means of survival for many in the downtrodden community. The prospect of an oil company building a petrochemical byproduct repurposing facility brings hope to the harbor in the form of new jobs and reinvigorating the local economy. But for insurance reasons, the oil company requires a year-round resident doctor in order to move forward with building a plant in Tickle Head. Brendon Gleeson, in his typical gruff Irish brogue, plays the role of Murray French, the hard-drinking, good-natured leader of this small group of harbor folk and mastermind of the complex ruse perpetrated on the unassuming Dr. Paul Lewis (Taylor Kitsch). Murray takes on an almost fatherly role with young Dr. Lewis, while at the same time using underhanded tactics in an attempt to achieve the harbor’s objective: employ a doctor so an oil company will build a facility that will save the harbor. Various means of benevolent deception are implemented by the residents at the behest of Murray. They learn as much as they can about the doctor in order to cater to his interests and make his one month trial period turn into a permanent stay. 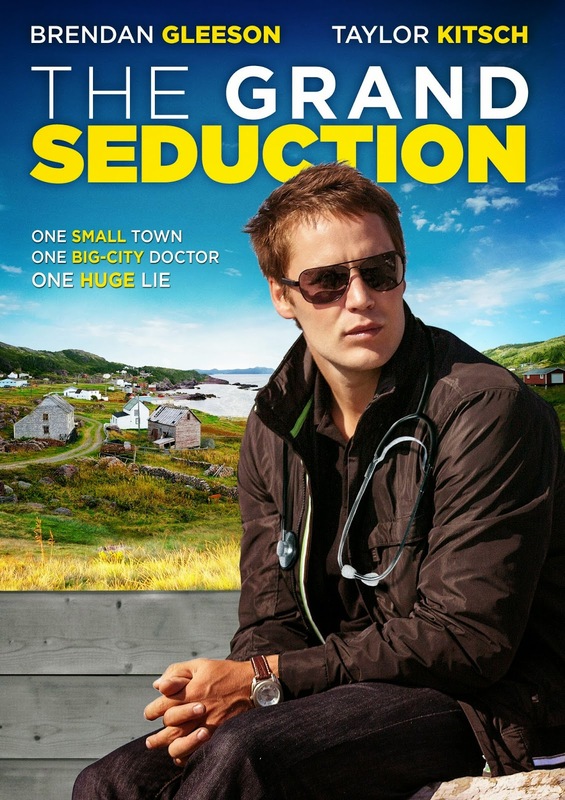 THE GRAND SEDUCTION is director Don McKellar’s third feature film. For a director that might be considered inexperienced, McKellar continues an impressive trend in which his first two independent films (LAST NIGHT and CHILDSTAR) both won awards and have been lauded and recognized by the most prestigious international film festivals. McKellar accentuates plush green landscapes and sprawling, sweeping shots of sea activity with traditional Irish music, a pleasant fiddle-laden musical bed which captures the essence of the gorgeous cinematography and creates a serene tone at times throughout the film. A series of funny and heartwarming moments are brilliantly interspersed throughout a largely serious plot, and McKellar executes a balance that results in a polished cinematic gem. It’s a comedy with heart, a drama with many humorous scenarios that is driven by both the strength and diversity of its characters. They are depicted as warm people you want to root for and you find yourself on board with whatever deceitfulness they need to use to justify a common goal. The performances aren’t all that remarkable. Just solid acting and a very likable cast in a storyline that works well. Think NORTHERN EXPOSURE meets THE STING and you have a highly entertaining film in that realm. 3½ out of 4 stars.